Beautiful John Wieland Home On Level Lot. Newly updated! Wood floors on the main floor have been refinished with a popular dark stain. The entire house has a new coat of paint on all of the walls. Enjoy the updated spacious kitchen with granite counter tops as well as the breakfast room with a bay window which looks out onto a private backyard. Entertain in the Formal Living Room And Dining Room, Family Room, and Beautiful Sunroom. 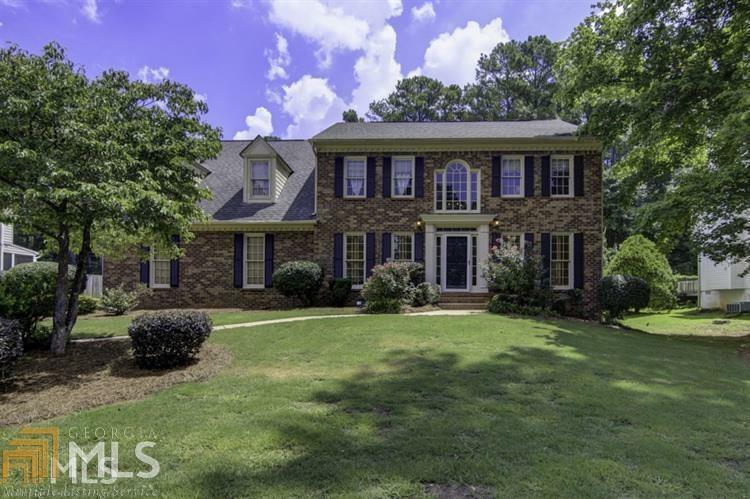 This home has 4 Bedrooms and 2.5 Baths. Huge Master Suite With large Garden Tub, Dual Vanities, Separate Shower, His And Her Closets. 3 Car Garage With Openers. Great Neighborhood With Pool And Tennis Courts. Close To Braelinn Golf Course. Directions: Hwy 74 South Left On Holly Grove Rd; Left On Robinson Left Into Colonnade. Right On Columns Lane. Home Is On Right.